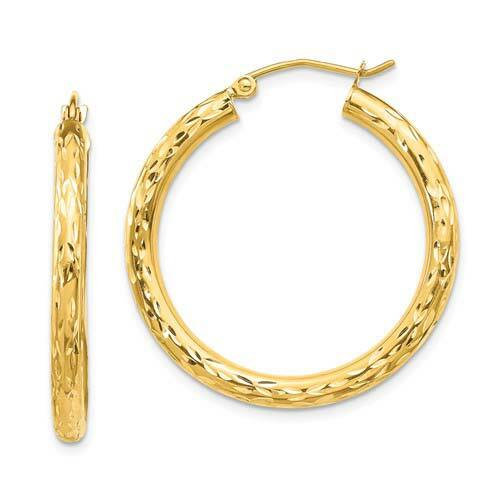 10k yellow gold round hoop earrings have a diamond-cut texture on both sides. Earring size: 1in x 1in. Hinged backs. Cyber Monday 2018 special. Weight: 1.5 grams. Made in USA.